Views help our query writing by simplifying writing the same sentences and/or aggregations over and over again, but it has a drawback, the views just store our query definition, but the performance is not improved by using them. 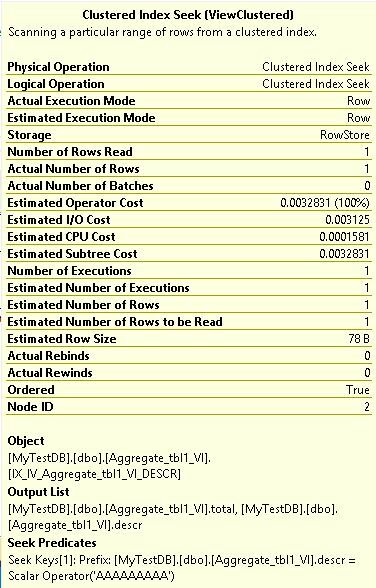 Since SQL Server 2008, the option to create an index over a view was introduced, of course, there are some limitations, but if your view can use them, the performance improvement could be great! we can see that an index scan and some computes are performed, so what happens if we just add a simple index in the base table over description and include the valueMoney field? 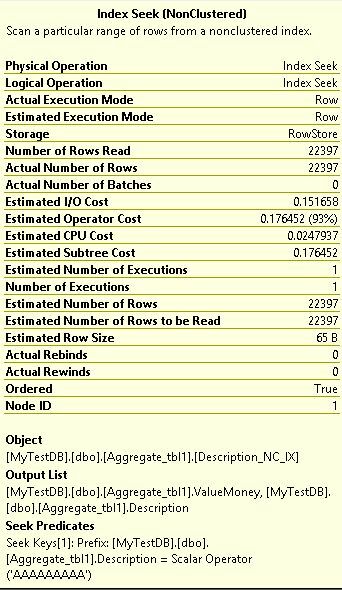 With this simple example, we could see that we had a big improvement on the performance of the query, but as I always tell you, test any change on a dev server first!